If we remove an artistic aspect of photography from the equation, photography is simply a process of capturing light. The exposure in photography defines how much light our camera captures from the scene. 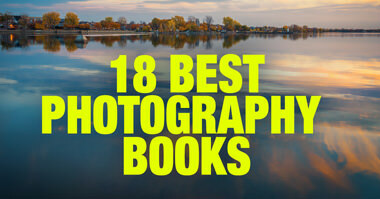 If it captures too much light, the final photo is too bright or what we called "overexposed." And, if we capture too little light, the final image is too dark or "underexposed." The end goal of the technical aspect of photography is to strike a perfect balance by capturing the right amount of light or what we refer to as the "correct" or "proper" exposure. The skill of producing well-exposed photos is one of the most fundamental skills we must learn as photographers. In days of film photography, learning how to produce properly exposed photos was a much more challenging process because there was no instant feedback and, to evaluate the exposure, we had to wait until the photo was developed. In digital photography today, besides having instant feedback through LCD screens or electronic view finders (EVF), all digital cameras have one very distinctive feature that helps us evaluate and adjust the exposure level. 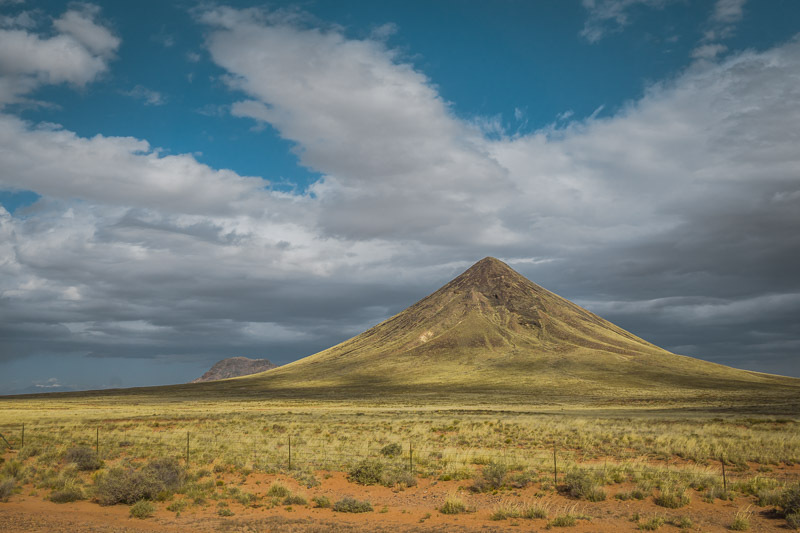 What is the Histogram in Photography? 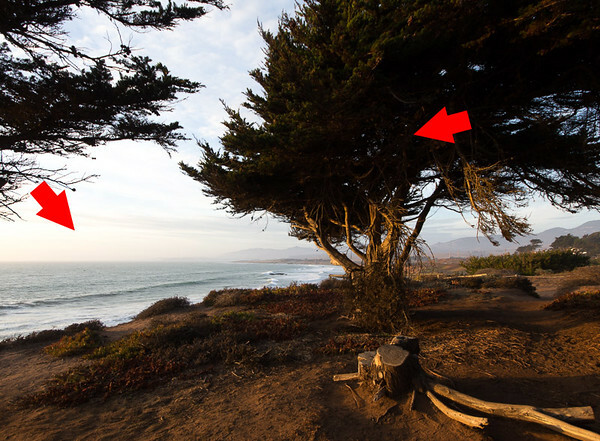 If we open a digital photograph in any editing program (Photoshop) and begin zooming in, we can see that the smallest element of any digital image is a pixel. The word "pixel" means a picture element. Any digital image is like a jigsaw puzzle consisting of tiny pieces, i.e. pixels. One of the characteristics of the pixel is its level of brightness. It can vary from pure black (0% brightness) to pure white (100% brightness). 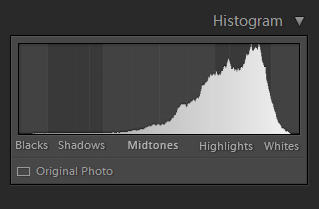 In photography, the histogram is the graphical representation of pixels distributed in any given photo based on its brightness. As a result, the histogram helps us evaluate the brightness of the image we capture. 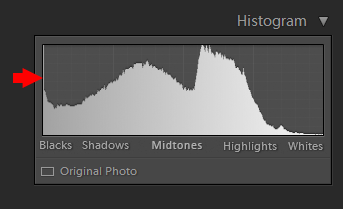 Here is an example of a histogram for a properly exposed photo. As you can see, the histogram indicates that the image does not have pure black pixels or pure white pixels. Most of the pixels are distributed among darks, midtones, and highlights. Now, see how the histogram looks when I underexposed the shot by one stop. I used the Shutter Speed value at 1/1000 sec instead of 1/500 sec. The rest of the settings are the same. As you can see, the histogram is shifted to the left, which indicates that most of the image’s pixels are distributed in Black or the Shadows. This indicates an "underexposed" image. And here is the exactly the same photo taken with the Shutter Speed value of 1/250 sec. The rest of the settings are the same. It is clear that pixel distribution sifted towards Highlights and Whites. This indicates an "overexposed" image. 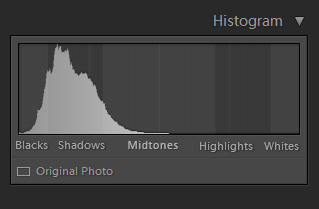 First, let me stress that the histogram does not indicate a scene’s level of brightness; it only shows the brightness of the photo you took with specific camera settings (ISO, Exposure, Shutter Speed). 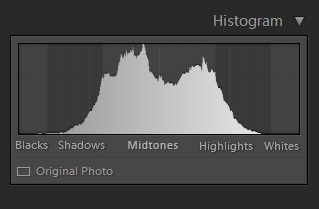 It also means that, if you take a photo of the same scene with different settings, the histogram will reflect it. When using DSLR, the best workflow for using the histogram to get a proper exposure is to take a few test shots, evaluate the histogram, and then make any necessary adjustments. Take one shot and check the back of your camera screen before evaluating the histogram. Adjust the camera settings, take another test shot, and evaluate the histogram again. Follow this same routine until you nail the perfect exposure. Normally, it takes between one and three test shots to get it right. The time required is anywhere between one to two minutes. Since mirrorless cameras have small computer screens known as EVFs, you can evaluate the histogram before taking the actual shot. The camera takes the current settings into its calculations and builds a histogram for the intended shot. This means that you can evaluate the histogram and adjust the exposure settings prior to taking the photo. While it is more convenient than using DSLR, it does not save much time. Both workflows work well. In general, pure black and pure white colors are rare in nature. When your photograph has pure black or pure white colors it often indicates problems caused by the wrong exposure. If the histogram touches the left edge of the diagram, it means that your image has pure black pixels. This is called “Shadow Clipping.” Pure black pixels have no color information making it impossible to recover in post processing. The same logic applies when the histogram touches the right edge of the diagram, which indicates that the image has pure white pixels. This is called "Highlight Clipping” where the color information is lost forever. When you evaluate the histogram and see Shadow Clipping or Highlight Clipping, it almost certainly means that the exposure value is wrong. You should adjust the settings to increase the exposure if you encounter Shadow Clipping or reduce the exposure if you encounter Highlight Clipping. The histogram is also a good tool to evaluate the scene for potential HDR shooting. Take, for example, if you are shooting during sunset and are facing the scene with very dynamic light. The sky is extremely bright and the shadows are very dark. 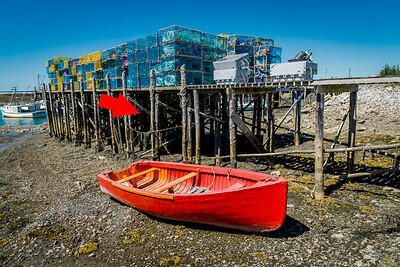 If you are not sure if you need to use the HDR photography technique, evaluate the scene using the histogram. 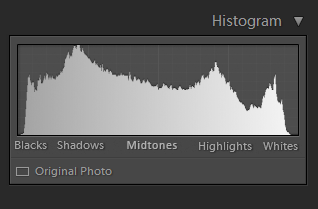 If you see the histogram touches both the left and right edges of the diagram simultaneously where both the highlights and shadows are clipped, it means that the dynamic range of the scene exceeds the dynamic range of your camera sensor. There is no way to avoid both Highlight and Shadow Clippings by adjusting the exposure. 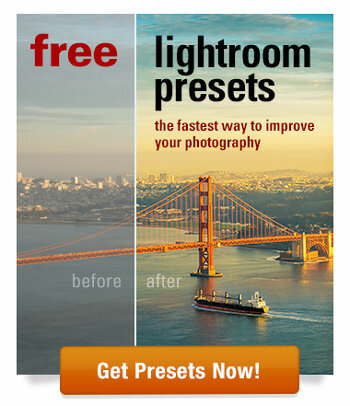 If you increase the exposure, you may eliminate the Shadows Clippings but will exaggerate the Highlight Clippings. You might eliminate the Highlight Clipping by reducing the exposure, but you will certainly make the shadows even darker. This is when you know that you need to use the HDR photography technique. 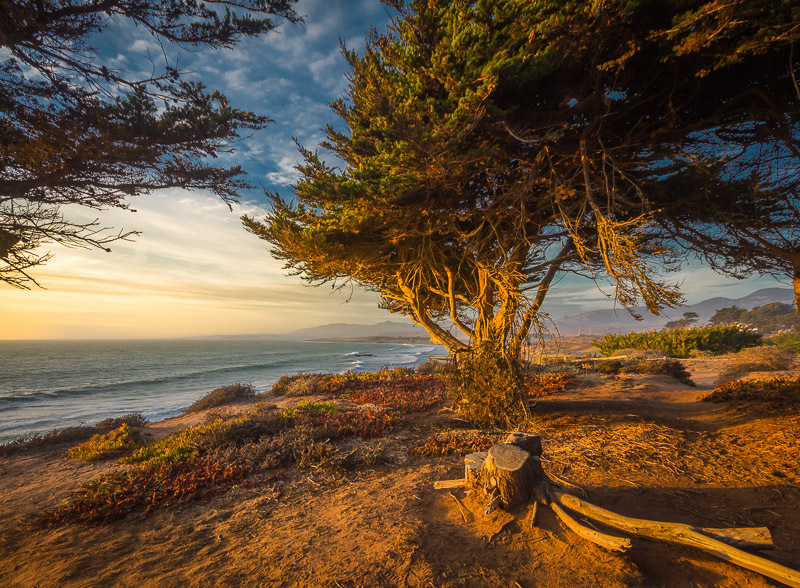 Take three bracketed shots with different exposure values and merge them into an HDR image with an extended dynamic range. This is the only way to eliminate Highlight and Shadow Clippings. 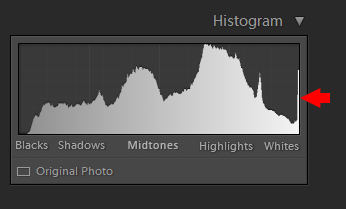 Do not be afraid of or intimidated by the histogram. If you understand the logic behind it, it will become a very simple and reliable tool for getting the right exposure with every shot you take. I find this article overly simplistic. 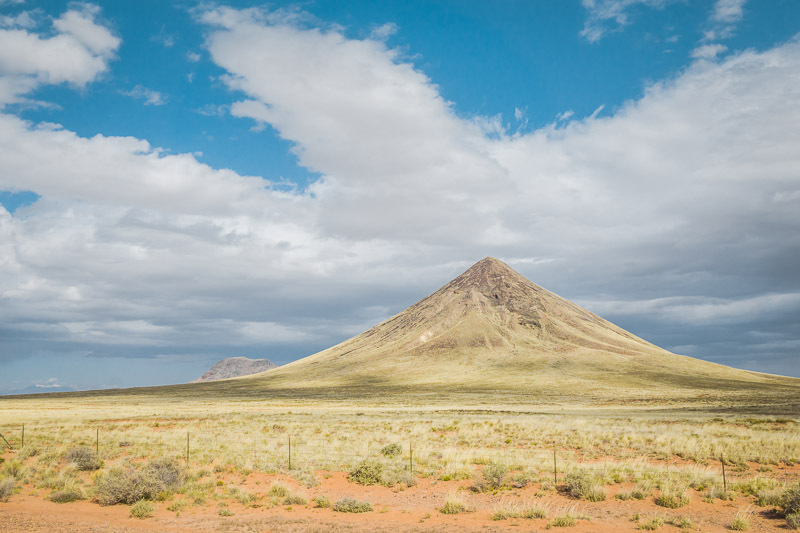 An average photo may be over or under exposed if the histogram tends to the left or right, but it may be that the scene is just brighter or darker than the average. As an example, a photo of an approaching storm may be quite dark and the entire scene may be on the dark side. 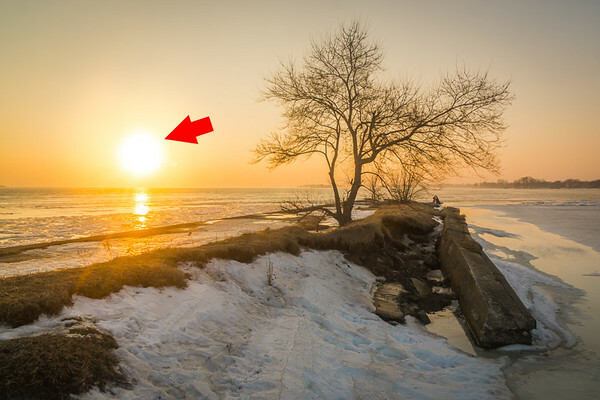 Exposing such a scene to produce a histogram with the “Correct” exposure as described in this article would defeat the intent of the photo. black or white clipping may be unpreventable and may not be “wrong”. A common example of this is specular reflection such as a reflection of the sun on the chrome trim of an automobile. 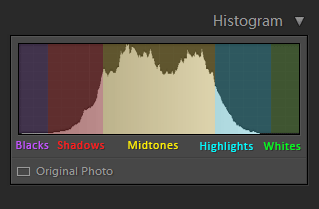 Yes the histogram is an important tool, but it is only a tool. Reasoning and judgement must be applied to the information provided by the histogram. I agree with you. For every rule there is an exception which has 3 exceptions on its own. And if you try to explain everything in one single article it will confuse the beginners. What I outlined in the article is the foundation which covers 80% of cases. It is easy to understand and not difficult to apply. To cover all the exceptions it will take 10 more articles. Dear Viktor , it is really interesting article but my first confusion starts when you say that used Av and controlled exposure and iso and shutter speed, how it is possible in Av mode to control all three variables? It is confusing me always, even some people say watch the shitter speed in Av, how it is possible as this is not controlled as it is chosen by computer of the camera. How I can know what is the present shutter speed for a particular setting in Av mode, as it is not visible, it is connected with the topic as i think as you mentioned to increase the shutter speed or decrease the shutter speed to obtain different under or overexposed shots. It is not about Shutter Speed, it is about changing the exposure by 1 stop. 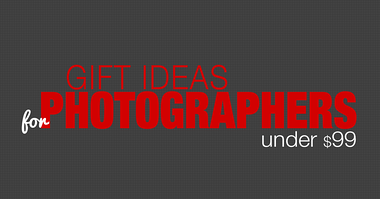 You can use whatever you want; ISO, Aperture or Shutter. 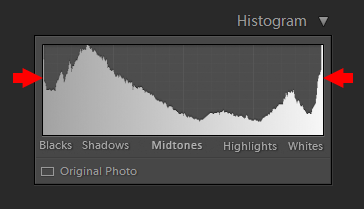 I’m looking for an iOS app to edit histograms, particularly for trimming its edges. I was used to using Photogene, no longer available in latest iOS version. Could you recommend me one? Thanks! the only mobile app I use is SnapSeed from Google. It is free and has pretty much everything you need for mobile editing.